Having a well-prepared seminar presentation, providing good service to your clients, giving the best instructional methods in teaching, and performing your best are all part of living up to company expectations. Human Resource personnel conduct employee evaluations to assess how they can improve an employee’s performance status. However, evaluation forms are complicated to make. 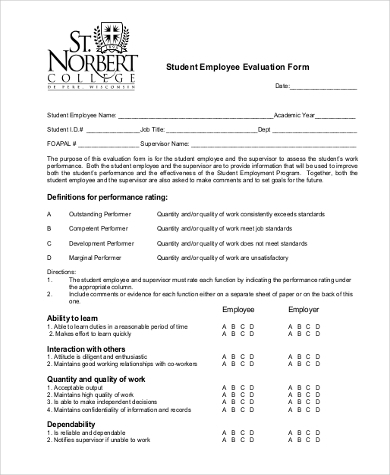 These easy-to-download Sample Evaluation Forms will guide you to a different approach in the crafting of evaluation forms. 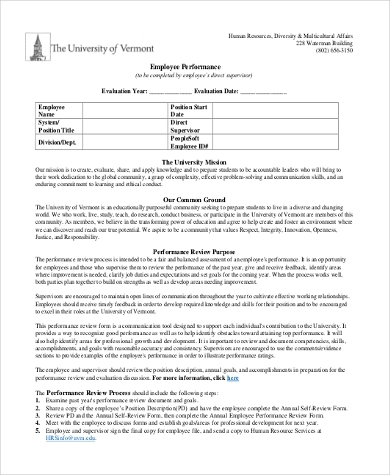 There is an array of evaluation forms to consider, which includes performance evaluation, annual self-evaluations, and training evaluations for seminars. 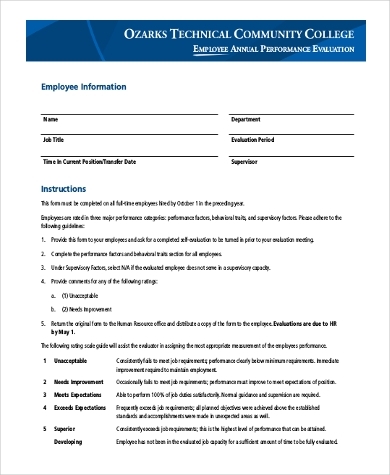 You can rate your employee through these Sample Employee Evaluation Forms with their easy and understandable metrics to guarantee a high quality standard of evaluation. The scale system is divided into four groups. You may browse www.cal.org to see how it is done. 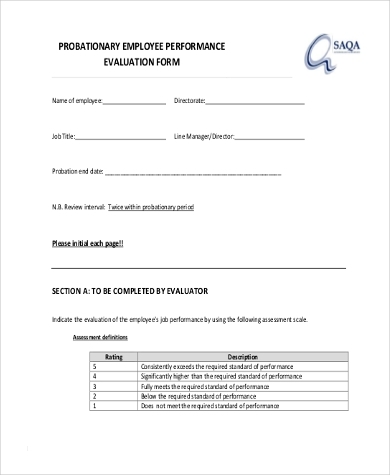 It is necessary to track employees’ performance progress in accordance with the scales provided in the evaluation form. Their performance is, after all, an asset to the company’s progress. The DOC and PDF formats these forms come in will make your task simpler. If you are a manager wanting to know your employee’s complete development, these forms enable you to create an intervention plan for them to make the most of their development. Not only will employees know what areas to develop and improve, but this will also allow them to keep a record of themselves. 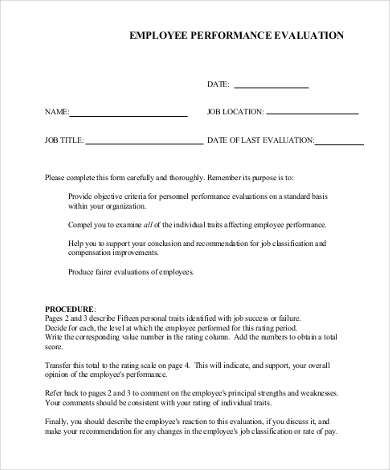 An evaluation form is a complete overview of employee work improvement and fosters progress for the company. Evaluations can be introspectively done by employees as well. 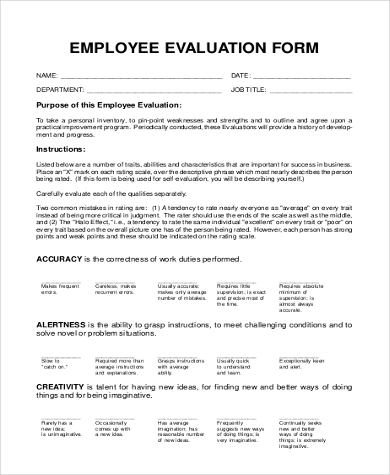 A positive and professionally built evaluation form through this link – Sample Employee Self Evaluation Forms – will help the employee attest his or her own development for the company’s progress. 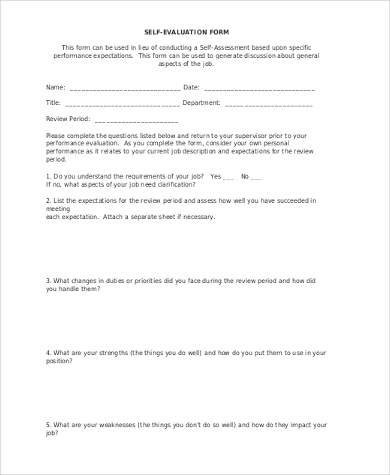 Most of the time these self-evaluation forms do not come in scales but rather in essay questions, asking the employee subjective matters on the workplace, how they manage their task, and how they think about their jobs. Most of the time feelings are the key actor here. Refer to this site at www. uhr.umd.edu . Our forms are easy to download, editable for your preferences, and printable. They are completely build to fit your preferences in line your company’s vision. Saving you precious time means a lot to us. 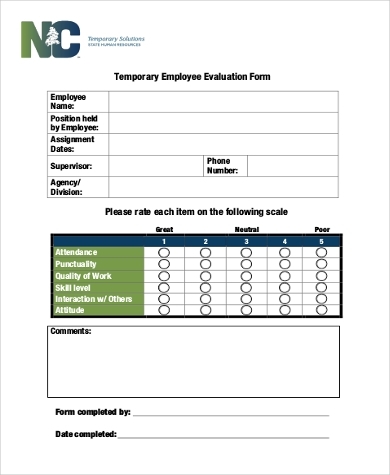 These forms come in handy whenever you need evaluations, whether it be for students, temporary employees, a performance evaluation, or just an annual evaluation to track the progress and development of your employee. 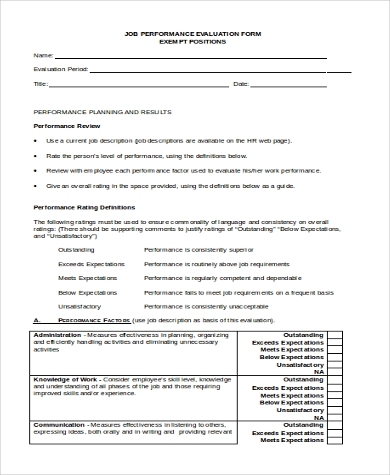 It’s friendly and is an improvement over other previous evaluation forms.